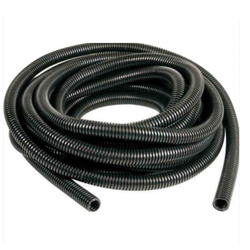 Our range of products include heated water hose. With rich industry experience, we are manufacturing, exporting and supplying a wide gamut of Heated Water Hose. These products are fabricated using high grade raw materials following high definition engineering principles. Known for their dimensional accuracy, high strength, corrosion resistance, compact design, high pressure bearing capacity, low maintenance and reliability, our offered products have gained demand in the market. These products are available in different finishes and specifications for varied industrial use. Clients can avail these products at industry leading prices. Looking for Heated Water Hose ?